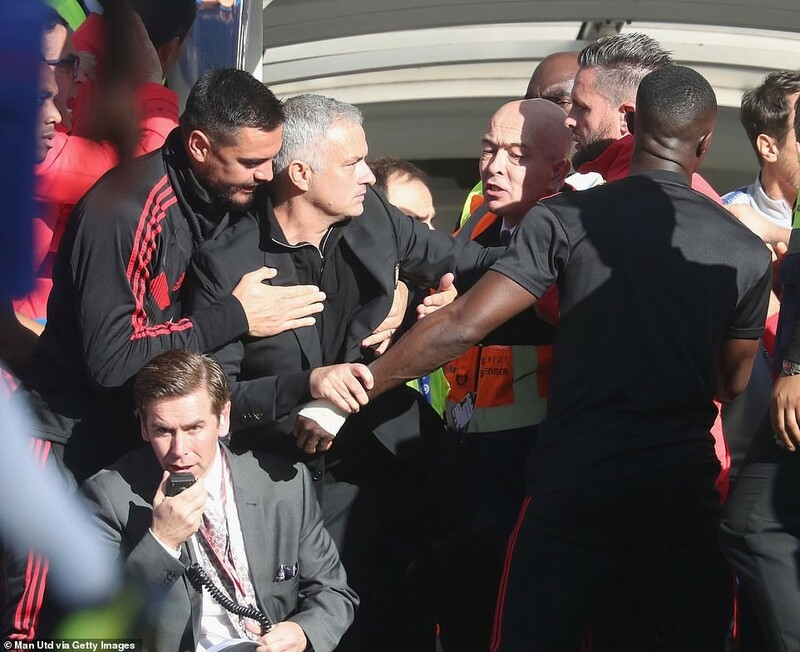 Manchester United coach, Jose Mourinho sparked an ugly brawl during their clash with Chelsea at Stamford Bridge on Saturday. 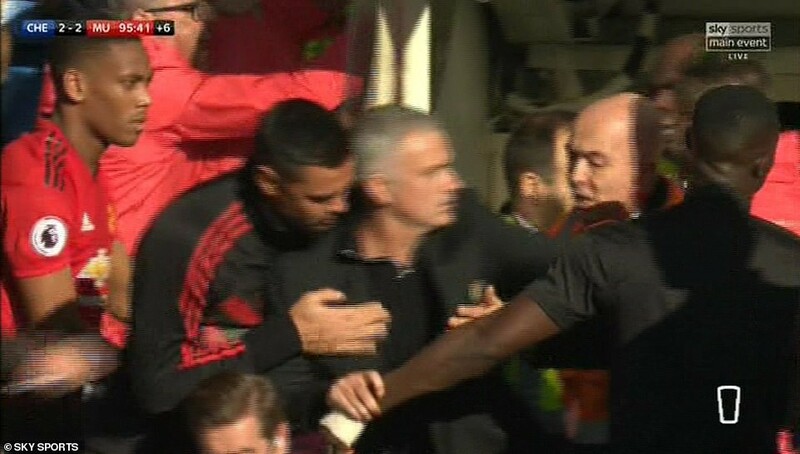 The clash started after Chelsea’s second assistant coach Marco Ianni celebrated Ross Barkley’s late equaliser in front of Mourinho, prompting Mourinho to run after him. Marco was seen in the replay video punching the air in delight right in front o Mourinho before running past him in celebration. 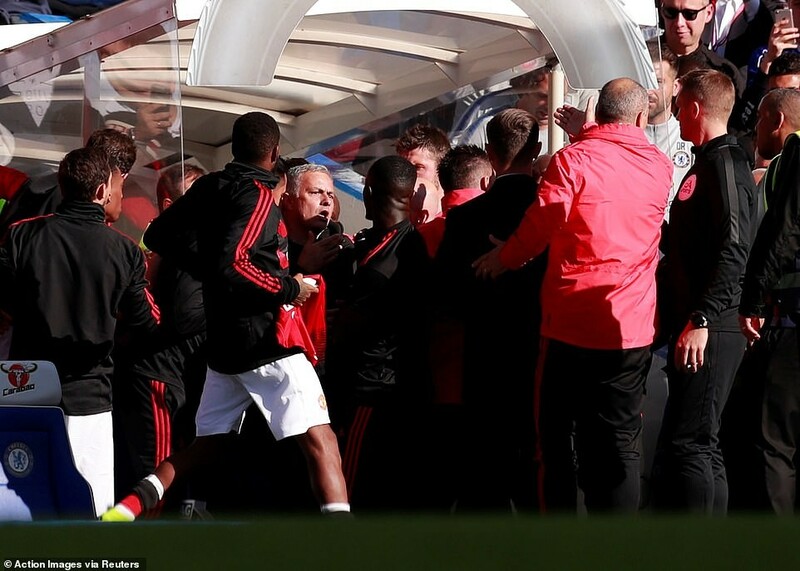 The United manager attempted to chase the coach down the tunnel but was held back by both Manchester United and Chelsea staff members, as well as stewards and police. After the game which ended 2 – 2, Mourinho refused to discuss the touchline spat but revealed he was disappointed with the result. He said: “We weren’t there in the first half against Newcastle, but today we were there. In the first half we weren’t aggressive enough. We controlled their triggers. I’ve never seen Jorginho play so little as he did today. Sarri finally spoke to the press on Saturday, following Mourinho. When asked how he would deal with the issue, Sarri said: “It’s private.